Between Cronuts, rainbow bagels, pretzel croissants and even the “pizookie”—that’s cookie dough baked in a pizza pan—new products in the bakery category over the past few years have been nothing short of innovative (albeit sometimes completely bizarre). Certainly, these types of novelties satisfy consumers’ hunger for more than just Instagrammable photo opportunities. Although health and wellness continue to trend upward across all grocery categories, including bakery, shoppers still seek indulgent treats that offer a variety of unique and authentic products and flavor profiles. Sales of pastries and doughnuts grew 2.6% in the 52 weeks ending June 17, 2018, reaching $3.5 billion, according to Chicago-based market research firm IRI. After exploring adventurous foods in restaurants, consumers are looking to their grocery stores’ center store to provide similar items they can enjoy at home or on the go. As such, products that offer convenience and portability are essential, particularly as snacking habits increasingly replace meal occasions. When selecting their commercial bakery product assortment, retailers must think outside the box and consider all factors and demographics to appeal to shoppers’ varying palates, eating occasions, health and transparency concerns, and demand for convenience. Today’s consumer craves imaginative, globally inspired foods that break away from cookie-cutter flavors and formats. Sales of Middle Eastern pita bread, for instance, increased a whopping 41.7% over the past year, according to IRI. 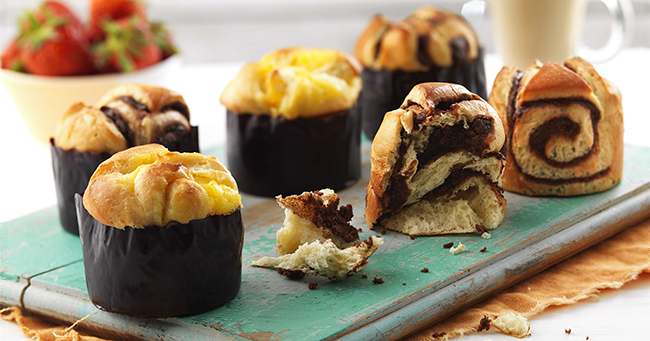 To that end, the company recently introduced its newest innovation, the Brioche Popover, a cross between a classic breakfast muffin and a light brioche pastry. Derived from authentic recipes in France and Belgium, like all of St. Pierre’s products, the Brioche Popover is airy and delicate with a buttery crumb, soft texture and a moist filling. They’re available in vanilla, chocolate and cinnamon varieties. Even though consumers are indulging in unique sweets, that’s not to say health and wellness are no longer top of mind. According to IDDBA’s latest trend report, What’s in Store 2018, health and wellness and transparency are among two of the top three trends affecting consumer shopping and purchasing in the bakery category. While it’s important that retailers offer products that satisfy shoppers’ indulgent cravings, they must also feature items that appeal to the health and wellness shopper, such as those with better-for-you ingredients. Retailers are making more dough by offering a product assortment that appeals to not only indulgent and health-conscious consumers, but also to smaller households and on-the-go lifestyles. According to IDDBA’s What’s In Store 2018 report, mini, single-serve and smaller-size varieties are the No. 1 trend influencing consumers’ shopping and purchasing in the bakery category. To increase consumer interest, retailers can place traditional bakery products in nontraditional places throughout the store, Boote says. Featuring rolls, breadsticks and cookies near the salad and hot bars lets consumers easily add them to complete a meal, she says. Also, placing individually wrapped bakery products such as cookies next to the register encourages impulse purchases. Tapping into consumers’ taste for unique and ethnic flavor profiles, and simultaneously asserting its support of local vendors, Tops Friendly Markets has teamed up with Cedars Bakery in Buffalo, N.Y., to stock Issa’s Pita Chips on its store shelves, providing shoppers with a diverse assortment of nontraditional bakery items. The Issa family, owners of Cedars Bakery, use an authentic pita chip recipe inspired by their Lebanese culture to offer a wholesome snack that can be conveniently enjoyed on the go. 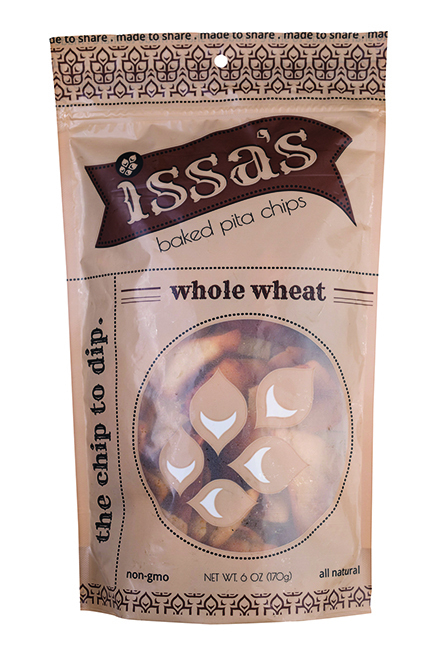 Baked in a flame-lit oven—which produces the chips’ unique appearance, texture and taste—Issa pita chips pack a craveable crunch and are made with all-natural ingredients without the use of preservatives.